Awards shows are like an inverse of the bird world. While the ladies get to choose from an entire world of colour, the men are their dull counterparts, blending into the background wishing someone would ask them who they’re wearing. That might have been the case at one point, but these days the more daring male celeb has much more to work with than just swapping the black tux for a white one. Just ask Chris Sullivan. 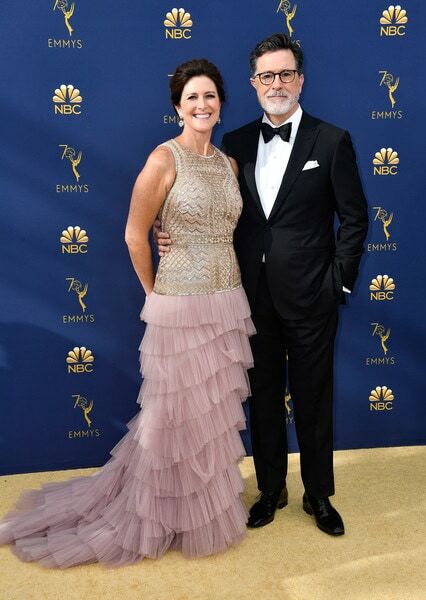 We watched attentively as the stars of TV ran the red carpet gauntlet at last night’s Emmys and picked out a few who stood out for all the right reasons. Sorry Chris. The man of the hour. 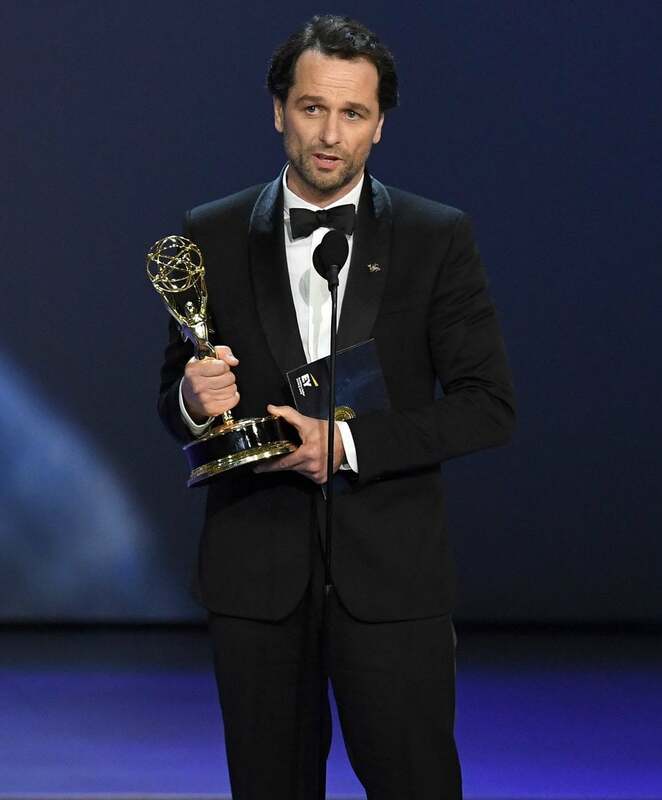 The Americans star Rhys won the award for Outstanding Actor in a Drama Series at the third time of asking. The Welshman kept it classic in a simple black tuxedo with shawl lapels and he looked every bit the winner who got to go home with both an Emmy and Keri Russell. 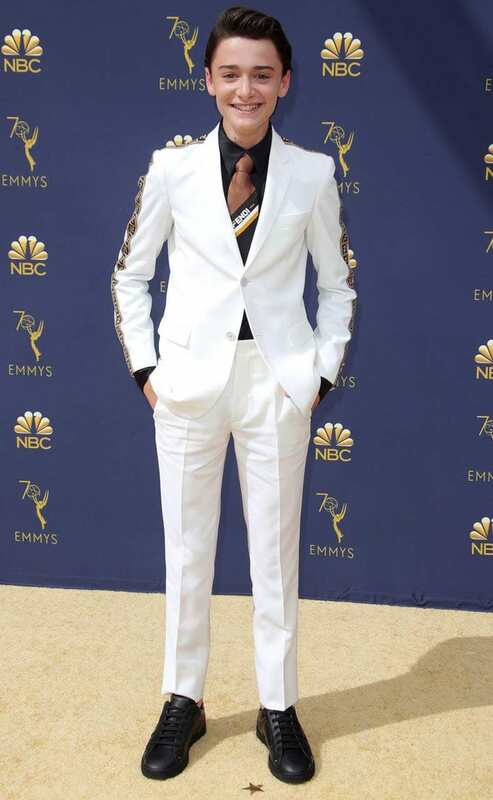 When not dressed as the scariest character of the year, Atlanta MVP Stanfield looked unbelievably sharp in a white textured tuxedo and black pants from Ermenegildo Zegna. In theory, adding a gold floral brooch sounds questionable, but everything about this outfit is A+. Noah Schnapp (Will), Gaten Matarazzo (Dustin) and Joe Keery (Steve) all went above and beyond. 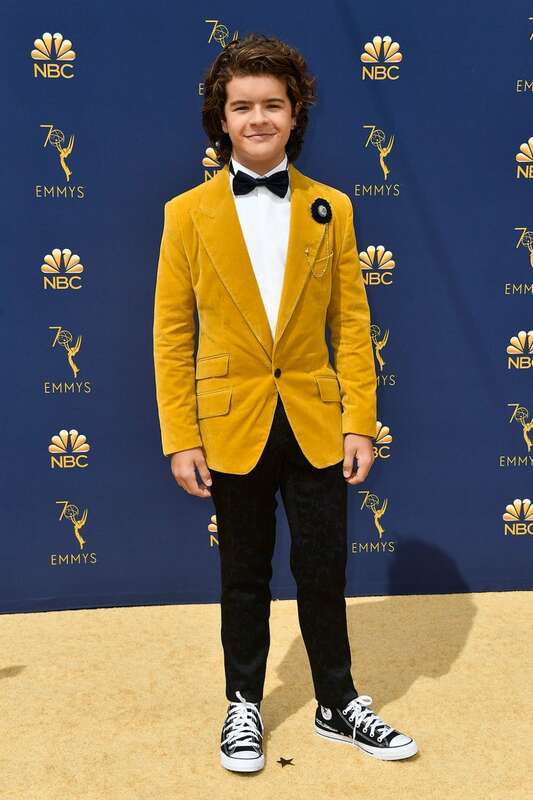 Thirteen-year-old Schnapp opted for a white Fendi suit, black shirt and brown tie, a combination which shouldn’t have worked anywhere near as well as it does, while his buddy Matarazzo went for a mustard velvet Dolce & Gabanna suit and black pants with black converse hi-tops. 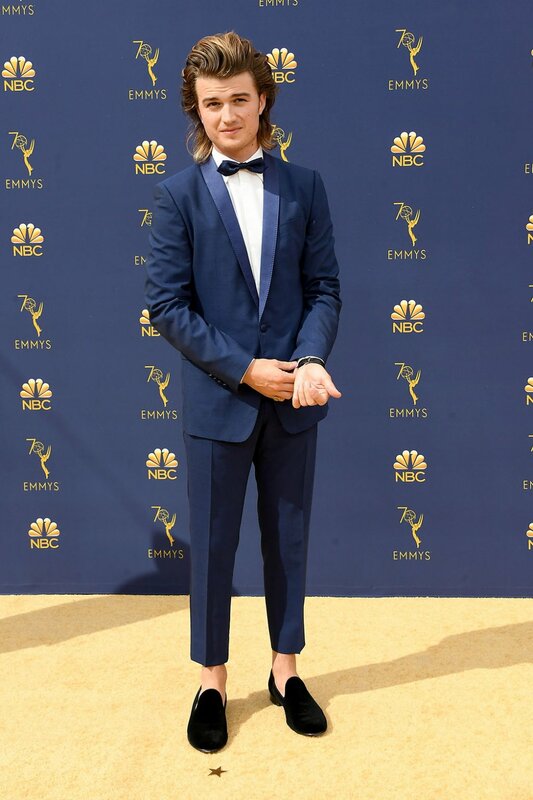 Joe Keery was the most eye-catching of the trio in a blue Dolce & Gabanna tuxedo (sans socks) and a mullet that was somehow even bigger than his hair on the show. 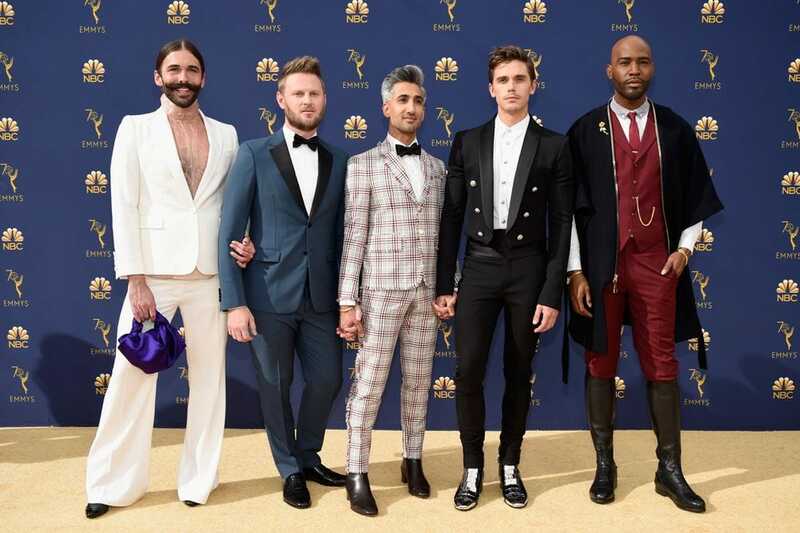 While questions could be asked about some of his other Queer Eye colleagues’ sartorial choices, Bobby’s dark blue Prada suit is a subtle twist on a classic that stands out without being too out there. The Welshmen were on form last night. Evans looks like he stepped right out of Hollywood’s Golden Era in this fantastic subtle plaid tuxedo from BOSS. That moustache just sets the whole thing off. 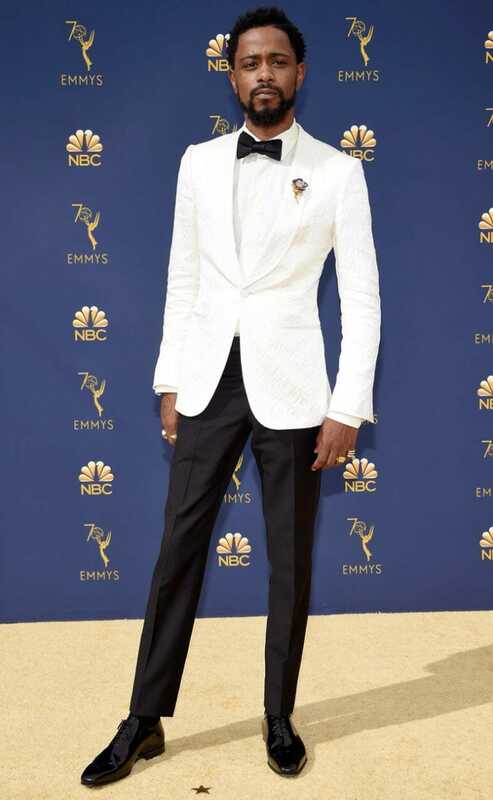 Colbert’s outfit is a masterclass in how to stick to the traditional black tuxedo, white shirt and black bow tie and still look like one of the most stylish men in the room. 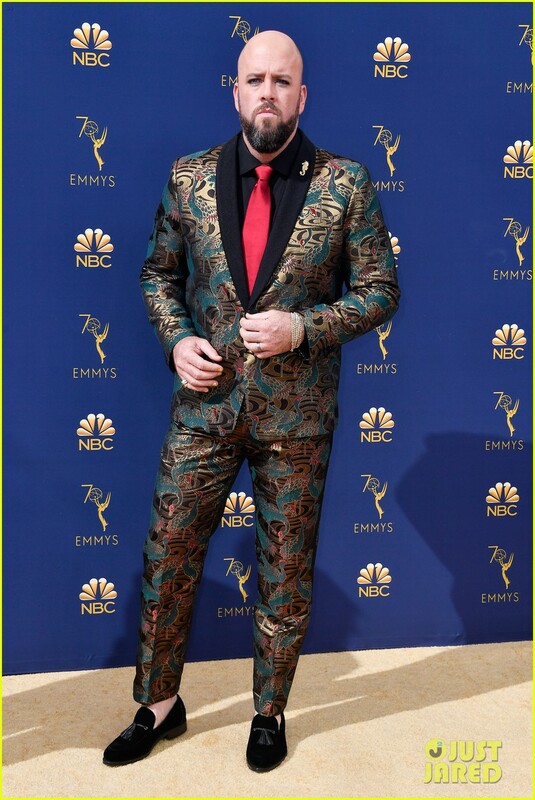 Everything fits beautifully, his hair and beard are perfectly groomed and Colbert carries himself like a man who knows he looks great.